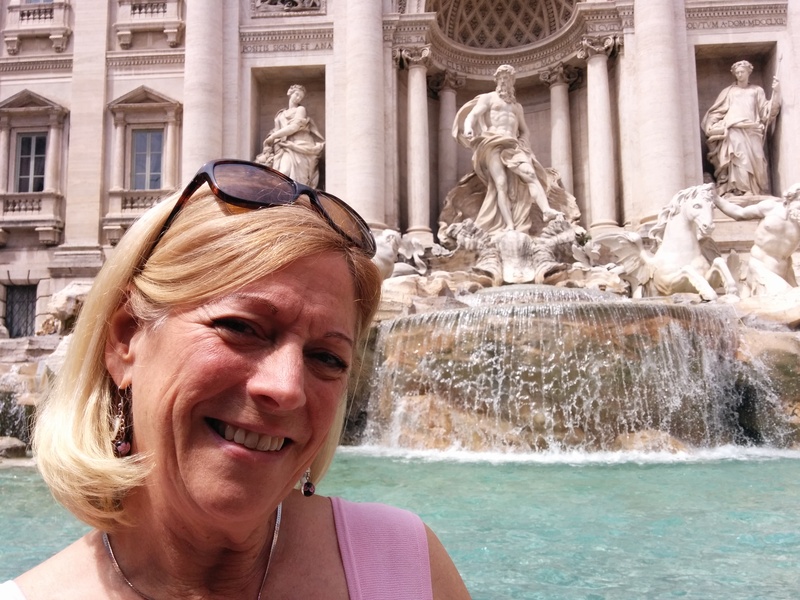 How can one visit Rome without seeing the famous Trevi Fountain? Sculpted in 1762, it was built as an outlet for an ancient aqueduct. This Baroque fountain with its figure of Neptune is touted to be the largest and most famous fountain. And yes, I did the tourist thing. Like so many others, I threw a coin in with my right hand over my left shoulder! The original tradition involved drinking the fountain water to insure good fortune and a return to Rome. But today it is coin tossing that is said to guarantee a return. Since the 1954 film, “Three Coins in a Fountain” one coin does not suffice. Now it is expected to throw in that second coin to get me a new and exciting romance, and a third coin to lead to marriage. But I couldn’t get my husband to hand me more than one coin!! Our verse for today speaks of hope. Hope in Scripture is not just wishful thinking. That is because the object of our hope is something sure. We are to hope in His Word (Psalm 130:5) as well as His unfailing love (Psalm 147:11). Hope like that does not disappoint. But hope in anything else has the potential to disappoint. The Lord has plans for me. He has my future in His powerful and loving hands. He promises blessing for obedience. I cannot possibly know what is ahead but with hope I am confident that it is all good. It is amazing to me that He loves me enough to plan it all out. Thank you Lord, that my hope is in You, and You never disappoint. Look familiar? This is a summer re-post due to ministry schedule. Categories: Faithfulness, Hope | Permalink. This has never happened before; my husband in first class! 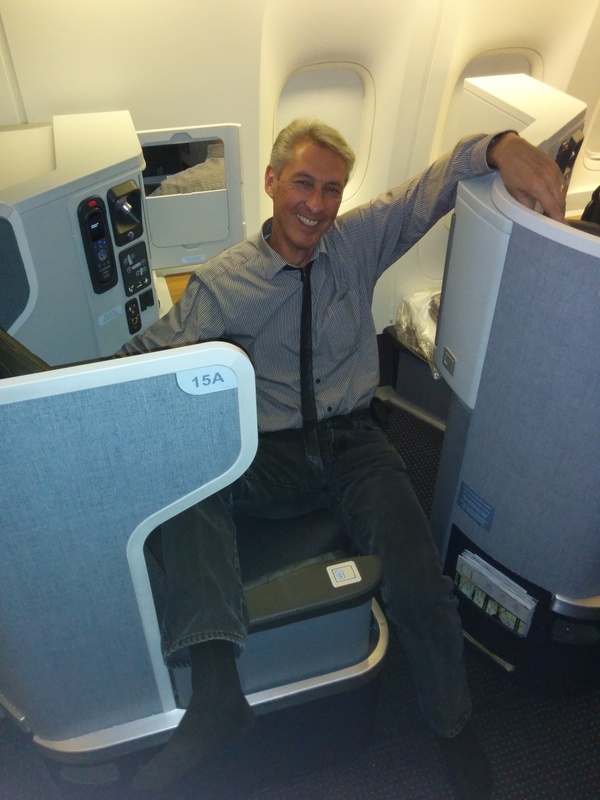 A friend with extra points very generously upgraded him on his last transatlantic flight. Randy, with his long legs, clearly relished all that extra space! There is something very special about sitting apart behind that curtain. It does not help that the rest of us to have to pass through first class on our way to our own small seats in the back. We eye ball the freebies and all the little extras we will not be enjoying. Before the rest of us even find our seats, the first class passengers are being very attentively served. They are “set apart” from everyone else and each of their calls are quickly answered. Our verse for today for today teaches that believers are also set apart. We are set apart for a much different purpose; not to be spoiled but to serve Him faithfully. This entire psalm is so beautiful in describing the blessings that are ours when we lead godly lives. There is distress, but there is immediate relief when we call to Him (verse 1). He shows good to those who trust Him (verse 5-6) He fills the heart with greater joy than those who have no shortage of grain and wine (verse 7). We can lie down and sleep in peace, knowing that He keeps us safe (verse 8). What a beautiful picture of the care the Lord takes of us. And it is all grace. We do not deserve any bit of it. Thank you Lord, that You have set me apart as Your own. May I serve You more faithfully in gratitude for all You do for me! Categories: Grace and Forgiveness, Self Image | Permalink. 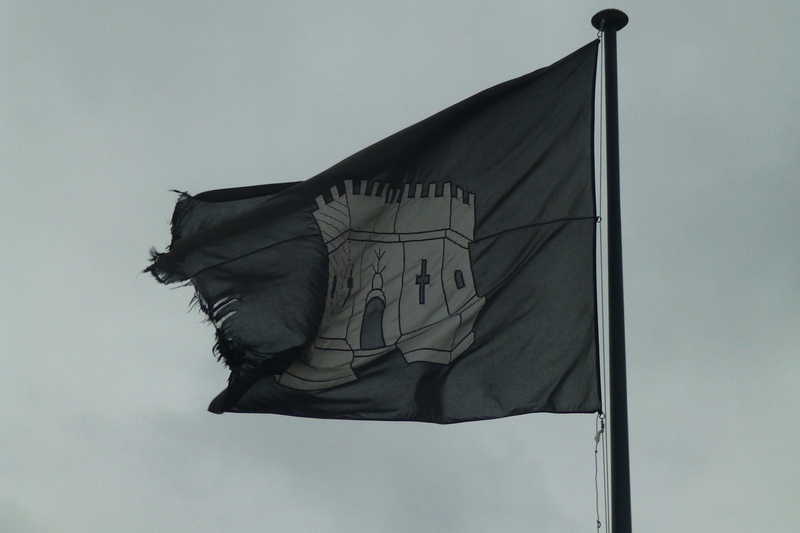 My husband and I remarked on this tattered banner flying on the top of a castle we visited. Of course, it is not original to it but just part of the decoration. The banner is not old but because it is a windy region, it did not take long for this banner to have an old beat-up appearance. When seeing this banner, I could not help thinking of our well-known verse for today. All those who want to live a godly life will stand up tall and straight. And like the banner, our stand for the Lord is vulnerable to the winds of persecution. Those winds push and pull at us. Our resistance to the winds will eventually wear on us. If one hides their banner, the wind will have no opportunity to buffet it. No one bothers to persecute those who are not taking a stand. Becoming tattered or persecuted does not seem a great motivation to live a godly life! But it is the natural consequence of living out our faith among those who are lovers of self rather than lovers of God (verses 1-5). Paul encourages Timothy to take a stand and continue on in the faith. He reminds Timothy of God’s power to deliver, something he had repeatedly experienced. My motivation to lead a godly life is that I am a lover of God more than a lover of self. It is love and gratitude that keeps me faithful to Him, regardless of the opposition. There is no shame in my banner being tattered. Lord, give me the courage to stay faithful to You. Categories: Holiness, Suffering and Trials | Permalink. 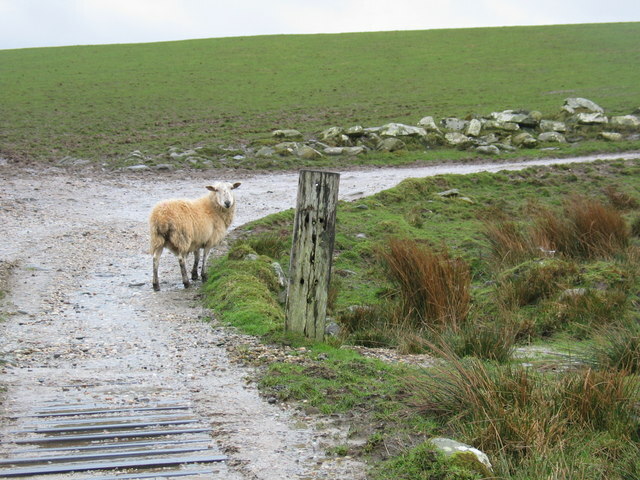 This sheep looks a bit lost. His companions are no where in sight and it looks like the road could veer left or right. Thankfully, he does not seem to be in any apparent danger. He is not stuck in thorns or falling off a cliff, yet. I can imagine that this sheep strayed because he did not follow the commands of the shepherd. But even knowing he is lost does not solve his problem. He needs to be sought out by his shepherd. Our verse for today is the last verse of the longest psalm. The author, even though he has tremendous love and respect for God’s commands, still has a problem always following them. After so many verses extolling and exalting God’s precepts, he ends with a cry for help. He confesses his weakness and closes with a heartfelt prayer. Seeing this verse reassures me. The author is made of the same stuff I am. I wondered if he was “super spiritual” to love and exalt God’s Law so much. But in fact, like Paul, even knowing what is right to do does not mean we do it! (Romans 7:18-21) We all stray from what is right. Our Shepherd always seeks us out. He will even leave the other ninety-nine to go out after the one who strays. He keeps searching until that lost one is brought back! (Luke 15:4) Christ’s whole purpose in coming to earth was to seek and save the lost! (Luke 19:10) But to be found I need to realize that I am lost. When I cry out for help, He is faithful to bring me back to His waiting arms. Thank you Lord, for finding this lost sheep! Categories: Faithfulness, Grace and Forgiveness, Images from Psalm 119 | Permalink. I love the feeling of being enclosed! Whether it is in a home or in a garden, I feel safe and comfortable when I can see the whole space at once. 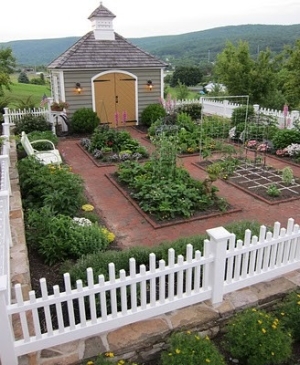 The image of this enclosed garden gives me that feeling. I know where I am. I know where the limits and boundaries are. Closed in spaces can make one feel peaceful and secure. The fences keep out what is not wanted. The enclosed space seems to invite intimacy. Our verse for today comes from a psalm that describes how vast is God’s knowledge of each one of us. He is acquainted with all of our ways and all of our movements. He is everywhere and there is no fleeing His presence. But this verse is so very personal. He encloses or hems us in with His presence. He puts a limit ahead of us and a limit behind us. He does not do this to frustrate us. He does this in a gesture of love, to place His hand on us. It is understandable that He needs to enclose me to put His hand on me. I am so often in constant movement and activity. I hardly stand still. Taking time out for Him and being still seems impossible sometimes. The pace of life makes me forget He is even there. There are times I need to be stopped in my tracks in order to see His hand and recognize His presence. Being hemmed in and enclosed by the Lord is a good thing. His hand on me is a loving one. When I cannot go forward or turn backward, it is then that I look up. That is just how He wants it! There is something about the number seven. Gamblers consider it a lucky number. The character, George Costanza, thought “Seven” a beautiful first name. Many ancient cultures had seven gods. 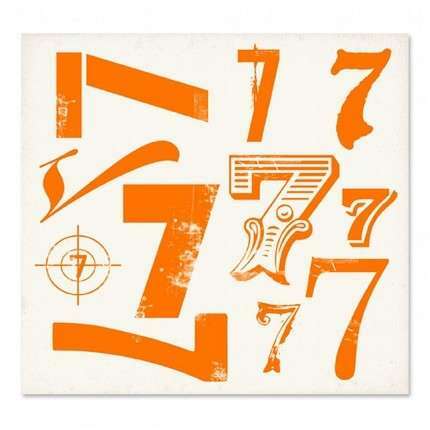 In Scripture, the number seven has special significance. Creation, with the Sabbath, took seven days. Solomon’s Temple took seven years to build. The walls of Jericho came down after seven days of marching. Revelation records seven stars, lampstands, churches, seals, trumpets, and bowls. Seven is thought to be the number of perfection or completion. In our verse for today David does not use the number seven literally. David mentions praying three times a day in Psalm 55:17. In fact, David writes that His praise shall continually be in his mouth (Psalm 34:1). He uses the number seven here to express a desire to worship the Lord perfectly, or completely. In turning towards a holy and righteous God, David is showing a special care in his devotion. His praise is specific; for God’s Law. He recognizes the stability His Law gives to life. In following God’s righteous way, one will not stumble as the wicked do whenever calamity strikes (Prov. 24:16). David praises God for the great peace that comes from being obedient. He knew the difference. He experienced first hand the agony and awful consequences of breaking God’s Law. What a beautiful and worthy subject of praise! God’s Law gives stability and direction to my life. It keeps me from stumbling. Following His Law gives me heart peace instead of guilt and confusion. Seven times a day is only the beginning of my praise and worship! Lord, may I continually praise You today! You are worthy! Categories: Devotions, Holiness, Images from Psalm 119, Peace | Permalink. This happened. I do not want to name names. It was just one of those unfortunate freak accidents. My Polish pottery is not only beautiful but special as it reminds me of trips to Poland with friends. I doubt I will ever have the chance to replace it. I had to bite my tongue so as not to make the culprit feel worse. It is only an inanimate object and relationship is certainly more important. There is not much use for it now unless I want half portions, which I do not! 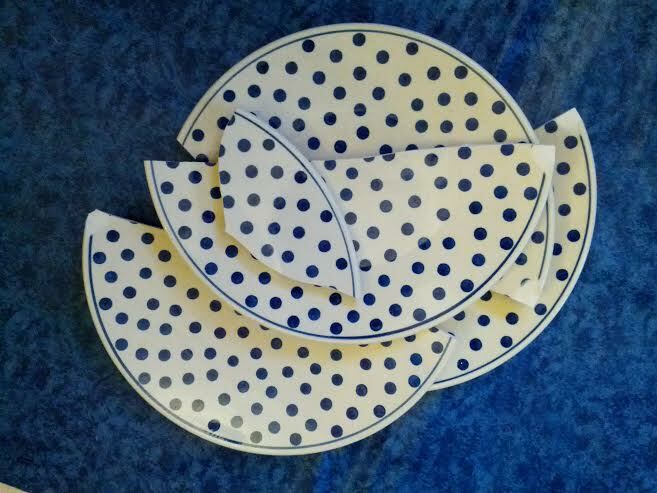 In our verse for today David feels like broken pottery. He feels the utter contempt of his enemies. He is shunned by his neighbors and becomes an object of dread. It is as though he were useless and of no importance. David feels himself slipping into depression and views his life as falling apart. The psalm turns around in verse 14 when he says, “But I trust in You, Lord.” He begins to see the abundance of good things God has done and ends the psalm addressing all who hope in the Lord to be strong and take heart! There are times I can relate to these feelings of loneliness and brokenness. But like David, I can turn to the only One who can pick up those broken pieces and make something new and useful from them. It is never too late to trust Him because in His capable hands, nothing is beyond repair. It is because of His grace that I can take heart, regardless of my circumstances, regardless of my failures and regardless of broken relationships. I am never forgotten or defeated because of His incredible healing love! Thank you, Lord. Categories: Faith and Trust, God's Love, Grace and Forgiveness, Pottery series | Permalink.